The blisters on the feet are a common problem, especially during the warm months of the year. Unpleasant and painful blisters appear as a result of friction and irritation of the upper layer of the skin. Most blisters are filled with translucent fluid, but they can be filled with blood or pus if they are inflamed and infected. If you have a problem with blisters, the following home remedies will help you get rid of them more quickly. Aloe Vera is a great choice for coping with blisters. This plant is abundant with ingredients that have anti-inflammatory effect, and therefore reduces redness and inflammation. Additionally, because of the large amount of water it contains, aloe creates hydration of the problem area, which accelerates the healing process, especially if the blast is already bursting. Place fresh aloe vera gel on the blister and allow it to dry. Then rinse it with warm water. Another option is to combine aloe vera gel with oil from one capsule vitamin E.
Both black and green tea are anti-inflammatory, but green tea has a more intensive anti-inflammatory effect. Therefore, if you have a choice, choose the green tea.In 250 milliliters of hot water, put one bag of green tea and allow it to stand for 5 minutes. Then leave the tea at room temperature until it cools down. Soak a piece of cotton in the tea and place it on the flask for 15 to 30 minutes. Repeat the procedure 2-3 times a day. Vitamin E stimulates the healing process and prevents scarring. Take one capsule with vitamin E and place the oil from the capsule on the blisters on the feet. Allow it to stand for at least 30 minutes. Repeat the procedure every day. Due to the ingredients it contains, such as baking soda and menthol, a toothpaste can help deal with the painful blisters. Therefore, place a little toothpaste on the affected area and allow it to stand for about 2 hours. Then remove it with warm water and apply a cream for feet.Repeat the procedure 1 to 2 times a day, until the blisters disappear. In this way, quicker drying of the blisters is achieved and the pain and itching are reduced. Note: Do not place a toothpaste that is intended for teeth whitening. Thanks to the ingredients contained in chamomile tea, it is possible to reduce the pain and swelling of the blisters. Make strong chamomile tea (2 packs of tea in 250 ml of water) and let it cool to room temperature. Take a piece of cotton and soak it with chamomile tea. Place the cotton on the flask and allow it to stand for 10 minutes. Repeat the procedure several times a day. Apple vinegar has an antibacterial effect, and therefore, if the blister bursts, it can prevent the onset of infection. However, it should be noted that the placing of apple cider vinegar on the flask may cause local roasting and redness. Therefore, if you decide on this natural remedy, place a small amount of apple cider vinegar and gently apply the problem area. Turmeric is considered a natural antiseptic, so it can help alleviate pain, reduce inflammation and prevent the development of infection. Stir one teaspoon of turmeric with a little water to get a homogeneous and thick mixture. Place the mixture of the flask, allow to stand for 10 to 15 minutes, then wash it with warm water. Repeat the procedure 2-3 times a day until the blisters on the feet disappear. NOTE: Do not remove the upper part of the blisters, unless it is very dirty or the liquid that came out is festering. 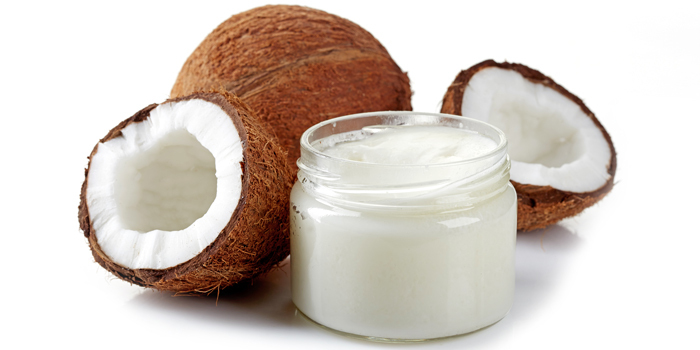 Coconut Oil – Vibrant Magic With Many Uses!